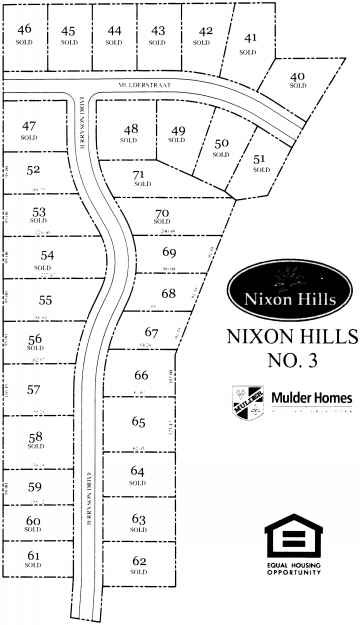 Nixon Hills is a mature wooded subdivision nestled in Delta Charter Township, Michigan and in the Grand Ledge School District. Trees and landscaping make this Mulder development a popular site for our custom built homes. The subdivision is located just west of Nixon Road and south of Saginaw Highway, resting between quaint downtown Grand Ledge (to the west) and the Capitol area. Delta Charter Township is located on Lansing's west side and contains many booming businesses, including General Motors. Residents of Nixon Hills enjoy the convenience of nearby shopping centers, banks, doctors, state-licensed day care centers, and much more. A dentist or hair appointment never has to be more than five minutes from home. Delta Charter Township is very proud to provide residents with a safe and friendly place to live. Rather than running a volunteer fire department like many small communities, Delta Township has fully staffed fire and police departments. This allows a faster response and greater peace of mind in an emergency. Nixon Hills subdivision is part of the Grand Ledge School District, which is well known for its high academic standards and successful athletic program. Residents are pleased to be part of a prestigious school district with a low student-to-teacher ratio, a 95% graduation rate, and outstanding extracurricular activities. 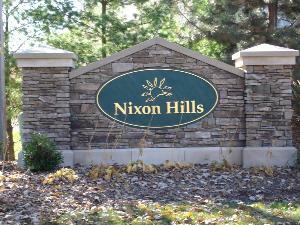 The wooded setting, safe neighborhood, close shopping and day cares, and great school district are only a few reasons why your next home should be in Nixon Hills. Come see our subdivision today and start planning your new future with us. Please refer to each lot listing for more detailed information!